With two weekend long runs now under our belts, the Fort Collins Running Club‘s Horsetooth Half training season is officially in full swing. 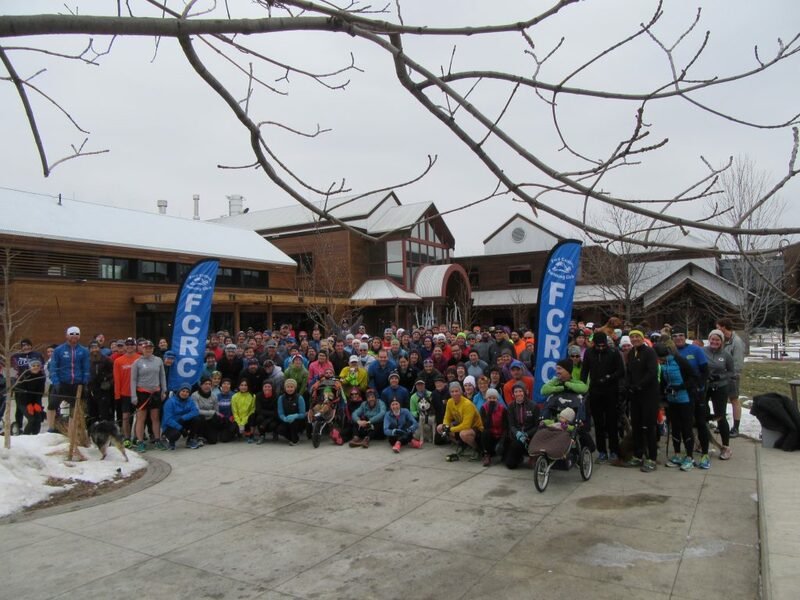 For the kick-off event from New Belgium Brewing on January 15, a record crowd turned out for a fun social run followed by snacks and refreshments, a presentation from Colorado in Motion and sponsor giveaways from New Belgium, Salomon Running, and the Fort Collins Running Club. Last Sunday, training turned to the hills with a climb up and down 500 foot Monster Mountain, with an out and back from the race start. If you’re in town, be sure to join us this Sunday at 9:45am from New Belgium Brewing where we’ll be covering the final few miles of the course. Pacers will be available to help set a pace if needed (8-13 min per mile). And be sure to join us afterwards for beverages, more sponsor giveaways, a presentation from Runners Roost Fort Collins and snacks from the Fort Collins Running Club. For more information on the Horsetooth Half training program, please visit the training page. The Horsetooth Half is famed for a number of different reasons. It begins with hills, continues with the views and ends with one helluva a finish line party. And this year, we’re upsizing the party to new levels. Not only will the shenanigans be moved to New Belgium’s newly expanded grounds, but we’ll also be offering garden fresh goodness from Boulder Organics and – of course – liquid dynamite in a glass from Fort Collins’ biggest and best craft brewer. But wait … there’s more. Headlining on center stage with foot stomping blues-fusion anthems will be Fort Collins’ very own Musketeer Gripweed. All post-race fun, food and beverages are included in the price of your race registration. For thirsty friends and family, we ask for a $10 donation to race beneficiary Teaching Tree.